I received this cute postcard from Mommy Vix of travel.mum-writes.com as my prize to her recent giveaway. Thanks Vix! Zoobic Zafari is located in Subic, Olongapo City. It is a 25 hectares amusement park where visitors enjoy watching exotic animals roaming in their natural habitat and surroundings. Zoobic Park (petting zoo) with albino carabao, lamb, among other creatures. 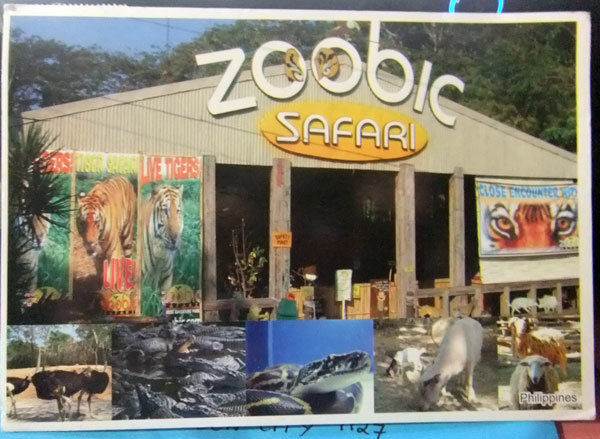 This entry was posted in Postcards, Tourists destination and tagged postcard, zoobic, zoobic zafari on December 2, 2011 by Yami.